We have added copy/paste functionality and the possibility to link contracts in order to reflect master/subcontract relationships to Trackado. 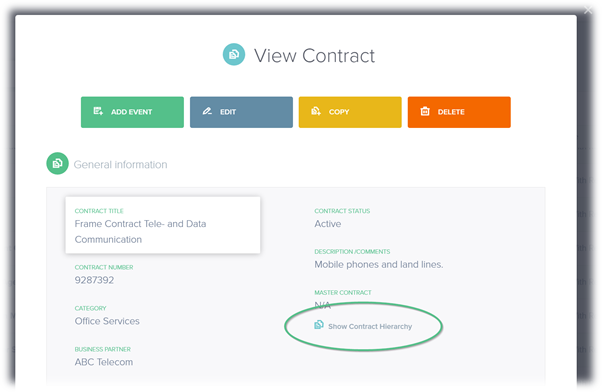 You can now easily copy any contract, event or business partner with all its data by simply clicking on “Copy” while viewing it. 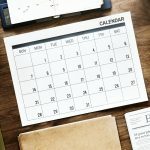 After clicking on “Copy” you will have the possibility to adjust the data if necessary before saving the contents as a new object. 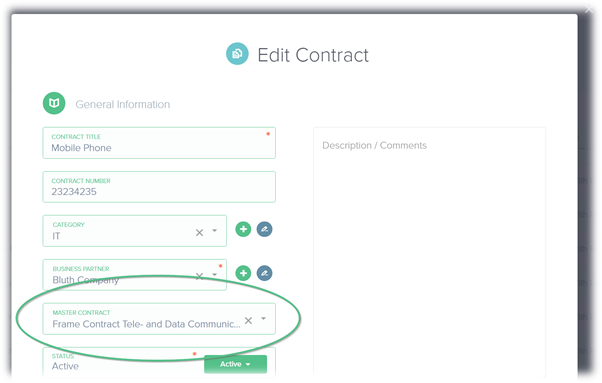 To link contracts to each other you simply select a master contract in the “Add” or “Edit” contract dialogue. 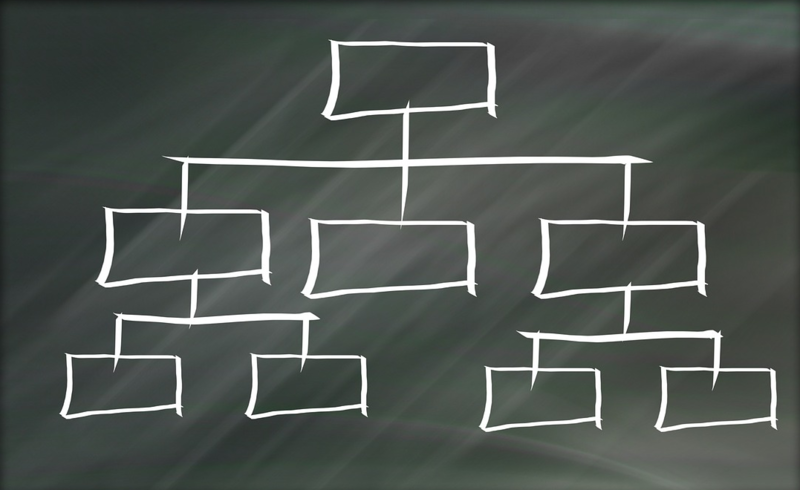 By doing so you can link together different contract objects into a hierarchical structure, which will help you to reflect, e.g. master and subcontract relationships. You will be able to see all relationships in the contract list. 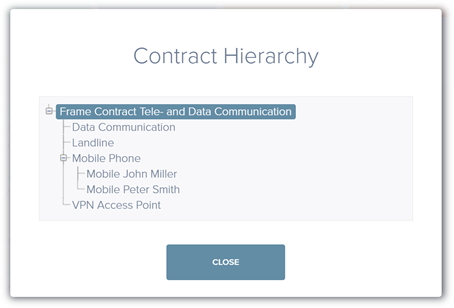 Furthermore, you have the possibility to view all contract hierarchies by clicking on “Show Contract Hierarchy” in the “View Contract” dialogue.